Members of the Saddle Road Task Force (SRTF), a citizen advisory group, federal, state and county government officials, and island residents gathered on December 11, 2008 to officially open the second phase of Saddle Road improvements from mile marker 19 to 28. With the completion of construction of this phase, 16-miles of Saddle Road have now been improved to modern standards. 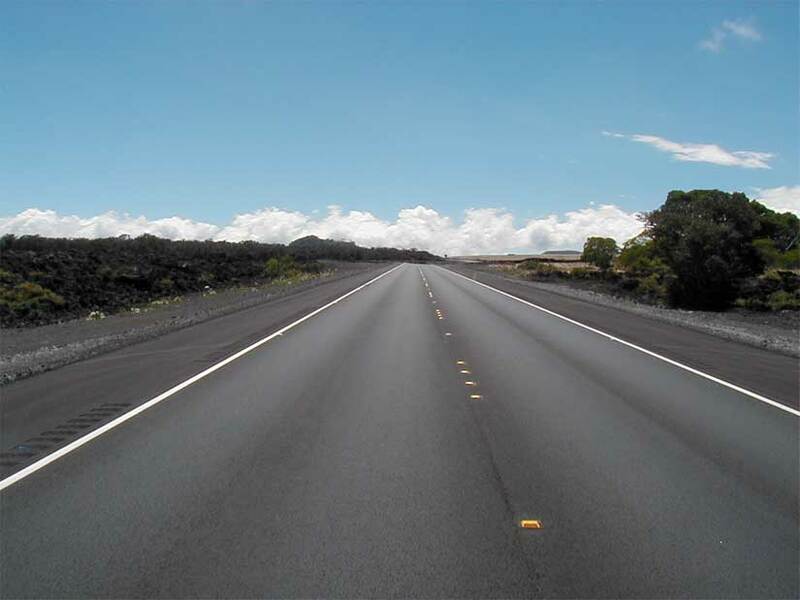 The FHWA-CFLHD, in cooperation with the HDOT and the Department of the Army (DOA), awarded a $34.6 million construction contract to Goodfellow Brothers, Inc of Waikoloa, Hawai`i for grading and paving of a new section of Saddle Road from mile marker 35 to 41.5. The contract was awarded on October 24, 2008; construction officially began on November 19 and is expected to be completed by late summer, 2009. Upon completion, 22-miles of the 48-mile long Saddle Road route will have been upgraded to modern standards and opened to public traffic. Under a cooperative agreement with the DOA and the Hawaii Department of Land & Natural Resources, aggregate materials for road construction are again being produced from a quarry within the DOA’s Pohakuloa Training Area. The use of this quarry is not only saving taxpayers millions of dollars, it is also eliminating thousands heavily-loaded trucks from having to use the existing Saddle Road during construction. Also, damage to the existing Saddle Road from these heavy trucks has been avoided and traffic congestion prevented that would have been caused by slow-moving trucks hauling materials uphill from many miles away. Plans for the next phase of Saddle Road construction are now being prepared by FHWACFLHD’s design consultant, Okahara & Associates, Inc. of Hilo, Hawaii. This next project will reconstruct Saddle Road to modern standards along its existing alignment from mile marker 19 to as far as mile 11. The project is expected to be advertised later this year and will take up to 2-years to complete. As the new road will encompass much of the old Saddle Road, the contractor will be required to provide advanced notice of any significant traffic delays during construction. At least one additional construction project is anticipated to be needed to complete the east side of Saddle Road. This last phase will extend from the eastern-terminus of the project noted in the previous paragraph to the west end of the Puainako Street Extension at mile marker 6. The design of this last phase is presently at the 15 percent stage of development. Final design is expected to be completed in 2010; construction could commence as early as 2011 pending acquisition of all needed rights of way and the availability of funding. The 1999 Saddle Road EIS selected an alignment (W3) for the western end of Saddle Road that extended from mile marker 42 to Mamalahoa Highway, State Route 190. In 2006, the DOA acquired these lands for future non-live fire military training. The W3 alignment would essentially bisect those lands in two, thereby significantly reducing the area available for training. In light of the impact the W3 alignment would have on the area available training, the DOA has requested that HDOT and FHWA-CFLHD consider an alternative alignment for the western end of Saddle Road. In response, the HDOT and FHWA-CFLHD are preparing a Supplement Environmental Impact Statement (SEIS) to evaluate a new alignment (W7) from mile marker 41.5 to Mamalahoa Highway. A draft SEIS is expected to be published later this year. The start of construction on the west side will be dependent on the outcome of the SEIS process and the availability of future funding. 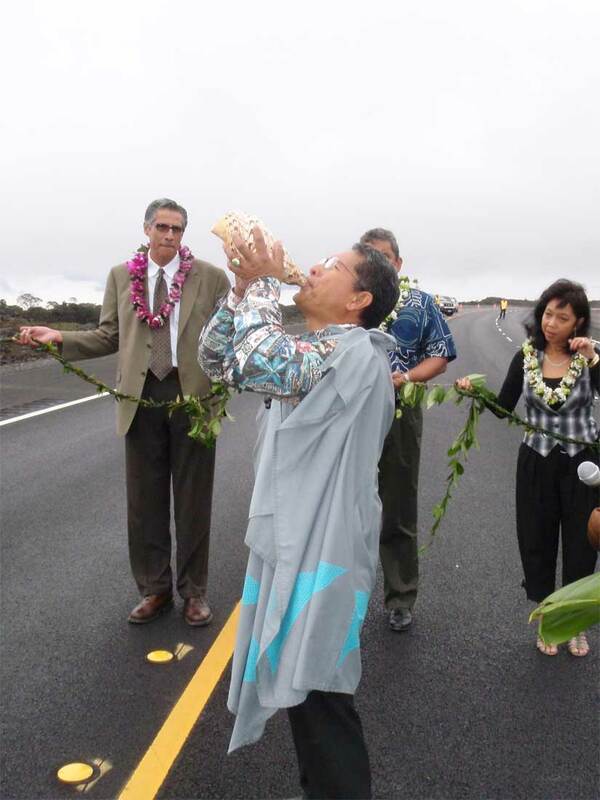 Members of the Saddle Road Task Force, a citizen advisory group, federal, state and county government officials, and island residents will gather on Tuesday, May 29, 2007 to witness the dedication and opening of the first newly-constructed segment of Saddle Road. U.S. Senator Daniel K. Inouye will deliver the keynote address with remarks by Federal Highway Administration, Barry Fukunaga, Director, Hawai‘i State Department of Transportation, Hawai‘i County Mayor Harry Kim and Walter Kunitake of the Saddle Road Task Force. A symbolic planting of naio and mamane trees will mark the completion of this first construction phase of approximately six and one-half miles of new roadway situated between Mauna Kea State Park and Mauna Kea Access Road. 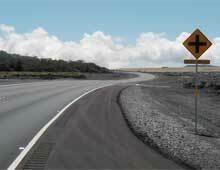 The Federal Highway Administration-Central Federal Lands Highway Division (CFLHD), in cooperation with the Hawai‘i Department of Transportation and the Department of the Army awarded a $59 million contract to Goodfellow Brothers, Inc. of Waikoloa, Hawai‘i for construction of the first 16 miles of the new Saddle Road. The plans and specifications for the project were developed by Okahara & Associates, Inc. of Hilo, Hawai‘i. Saddle Road, the most direct route between the east and west sides of the island, is the shortest route, yet carries one of the highest accident rates of any road of its classification in Hawai‘i. 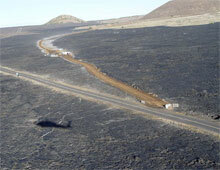 The Saddle Road improvement project will make the road safer and easier to use by eliminating narrow lanes, limited lines of sight, numerous roadside hazards such as bridge parapets, rough road edges, limited drainage during rainstorms and military vehicles frequently crossing the road as it passes through the Pohakuloa Training Area. The western terminus of the Saddle Road improvement project is under review and an additional alternative route will be included in the supplemental environmental impact statement expected next year. This modification was required following the purchase of the Keamuku area in the Saddle Road’s western region by the Department of the Army. Ala Mauna, the traditional name for this early transportation route, served native uses of the Humu‘ula area of Hawai‘i island including bird catching and adze quarrying. They were replaced by sandalwood harvesting and hunting wild cattle, and ultimately by ranching and astronomy. Over time, travelers whose only choice was once ancient footpaths, shifted to horses and wagons, then to automobiles. Roadways were improved and travel time shortened. In 1943, the original Saddle Road was built as a gravel roadway first constructed by the Civilian Conservation Corps and the US Army Corps of Engineers for access to the island’s interior in the event of a Japanese invasion during World War II. 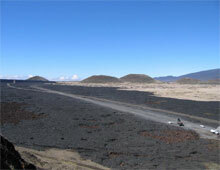 Then in 1949 the Saddle Road was completed as a paved road. What began as a military access road has since become an important cross-island link between East and West Hawai‘i. 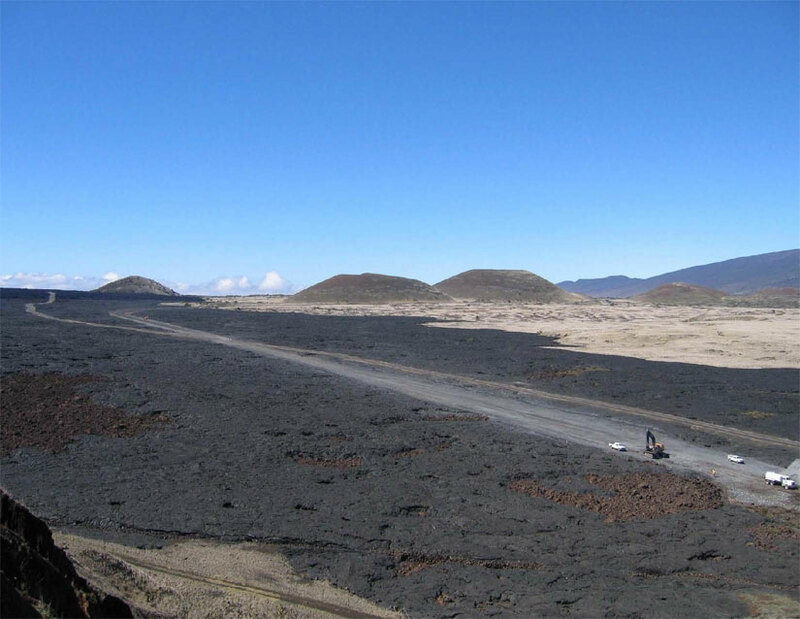 Saddle Road also provides the only paved access to Mauna Kea Science Reserve International Observatory Complex, Pohakuloa Training Area Base, Mauna Kea State Park as well as access to public lands and forest areas for hunting, gathering and ranching. Construction funding for the Saddle Road improvement project is being made available from several sources: U.S. Department of the Army, Defense Access Road Program and Ecosystem Management Program, U.S. Congress, and Hawai‘i Department of Transportation. Construction of the remainder of the Saddle Road project will be phased as funds become available. The Federal Highway Administration – Central Federal Lands Highway Division (CFLHD), in cooperation with the Hawaii Department of Transportation and the Department of the Army, has awarded a $59 million contract to Goodfellow Brothers, Inc. of Waikoloa Hawaii for construction of 16 miles of Saddle Road in the County of Hawaii. The plans and specifications for the project were developed by Okahara & Associates, Inc. of Hilo Hawaii. This is the third phase of Saddle Road construction that has been awarded to date but it is the first one that will impact commuter and tourist traffic traveling on Saddle Road. 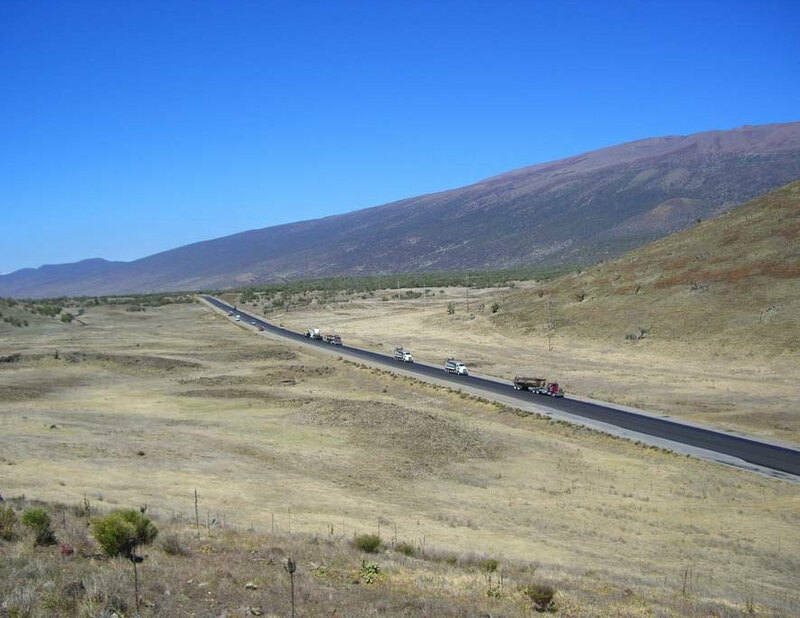 This project includes paving of 7 miles of recently constructed graded roadway between the Mauna Kea observatory access road at mile marker 28 and the Mauna Kea State Park at mile marker 35, and also reconstruction of 9 miles of existing Saddle Road between mile markers 19 and 28. Motorists will experience periodic congestion and delays due to ongoing construction and equipment entering and leaving the roadway. Saddle Road is the most direct route between the east and west sides of the island. Thus it is a shorter route for tourists and local commuters than the longer coastal routes between Hilo and Kona. Traffic delays due to prior Saddle Road construction has been minimized as the work was confined to new road alignments that did not have significant affect on traffic using the existing road. Saddle Road has one of the highest accident rates of any road of its classification. in Hawaii. 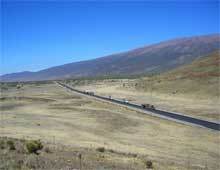 Travelers are very familiar with its characteristics: narrow lanes, windy, limited lines-of sight, numerous roadside hazards such as bridge parapets, and rough road edges, no drainage during rainstorms and military vehicles frequently crossing the road as it passes through the Pohakuloa Training Area. The whole Saddle Road improvement project from mile marker 6 in Kaumana to SR 190, Mamalahoa Highway, will make the road safer and easier to use. What is the timetable for the start and completion of this phase? Construction is expected to begin in mid-June. The contract time to complete all work is 716 calendar days, or early June 2008. 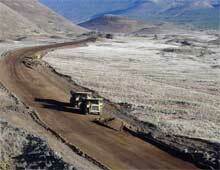 The contract includes an interim completion date of spring 2007 for the segment between mile markers 28 and 35. Upon completion, the road will be opened for public use. The Hawaii Department of Transportation requested that CFLHD be the lead agency for project development and construction of the Saddle Road improvement project. Will there be advance notification of any significant delays during the construction? The contractor is required to give CFLHD advance notice of any significant delays that will occur during the life of the project. This information will be given to the local media. The contract requires the installation of advanced warning signage to alert motorists of work zone activities.